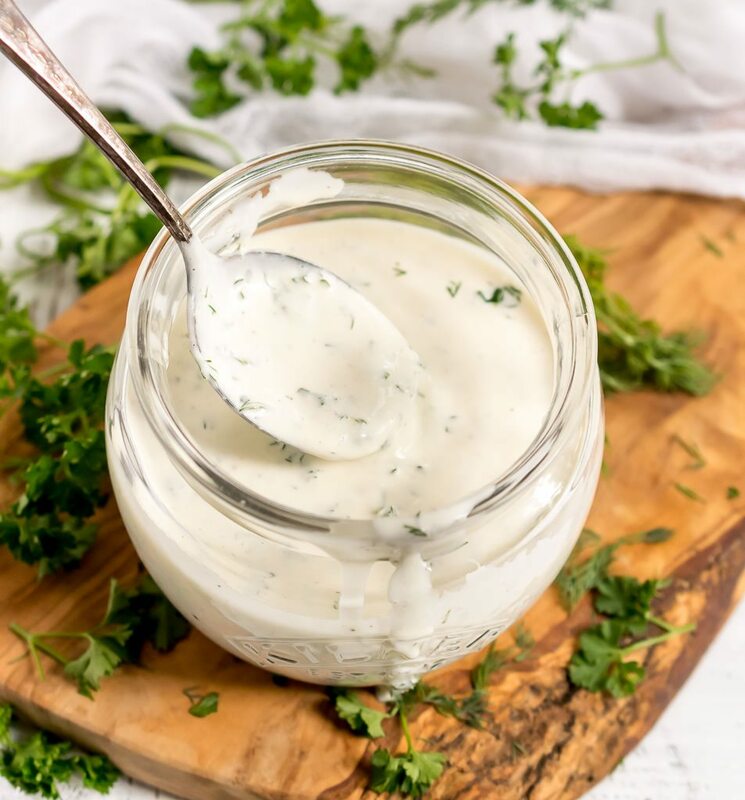 Perfect for dipping, drizzling or slathering, this Dairy Free Whole30 Ranch Dressing is great on just about anything! 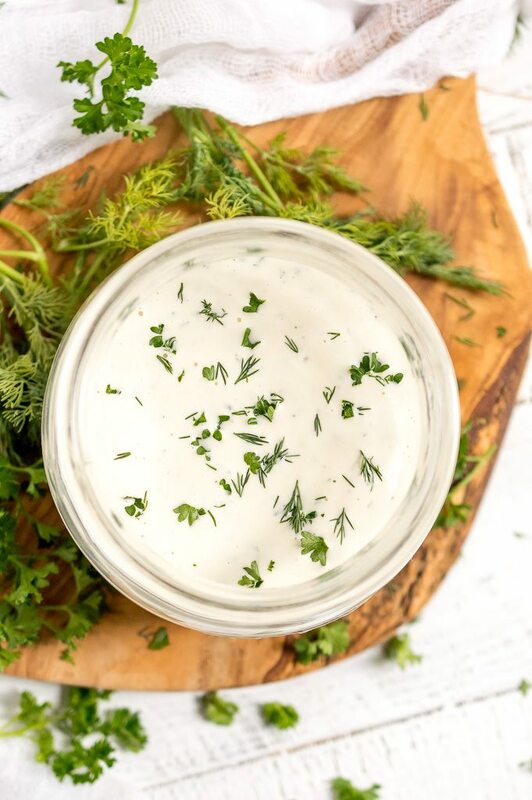 This Paleo compliant recipe can be made as a ranch dip or dressing depending on your needs. I have always made ranch dressing with sour cream. Now that I am avoiding dairy it was time to create a recipe that didn’t begin and end with sour cream. When I poked around on the web I found that the dairy free ranch dressing recipes all used coconut or almond milk. Now . . . I’m sure the herbs are the main flavor. But the possibility of my ranch dressing even having a hint of coconut flavor was more of a risk than I was willing to take. So fear not, this Whole30 Ranch Dressing Recipe does NOT involve coconut in any way, shape of form. Just good ol’ mayo, herbs and a hint of lemon. Use dried herbs instead of fresh. Just decrease the measurements by about half. Add the water a little at a time until you reach your desired consistency. Some like it thick, some like it thin. Your choice. 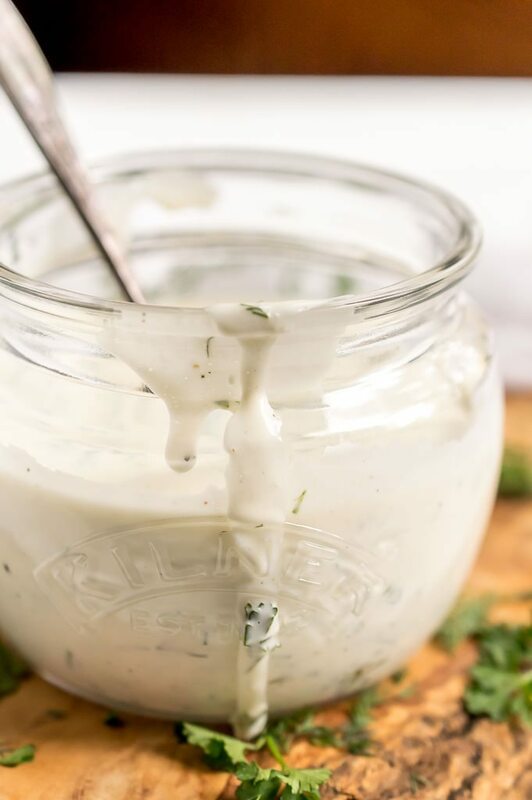 Store ranch dressing in an airtight container or jar. Refrigerate and use within 2 weeks. Mix all ingredients except the water. Add water 1 Tablespoon at a time until dip/dressing is preferred consistency. Store in airtight container. Refrigerate and use within 2 weeks. 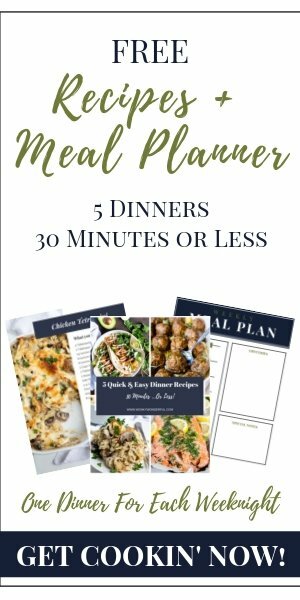 *Use Whole30 compliant mayo or homemade compliant mayo for W30.